Could Vladimir Putin withstand a popular uprising in Russia? The annexation of Crimea or the help for the separatists in the Donbas region have raised domestic support for Vladimir Putin’s presidency to record levels. Putin has banked on lingering frustration in Russian society that Moscow has been “cheated” by the West or that Russia should regain its great power status. But under the surface, his position is actually rather precarious. 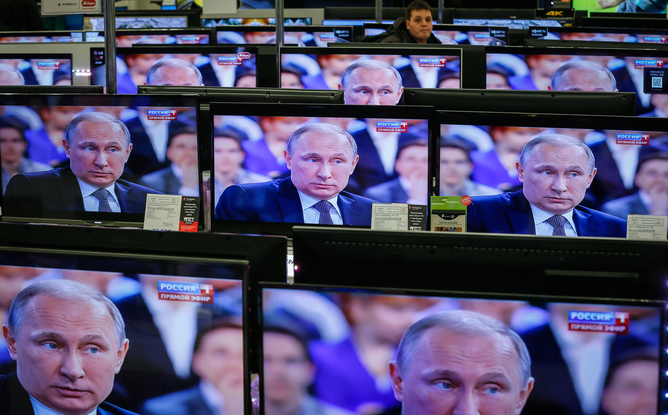 Thanks to serious economic hardship and growing unease about Russia’s actions in Ukraine, Putin’s supposedly stratospheric popularity is less secure than ever – and it may prove to be very short-lived. Instead, any anti-Putin uprising would probably spring from a sudden collapse in popular confidence in his extremely ambitious aspirations. A popular stand against Putin’s regime would most likely be caused if Russia’s current approach in Ukraine and towards the West reaches a point of indisputable failure or defeat. The Kremlin has raised the stakes very high indeed. 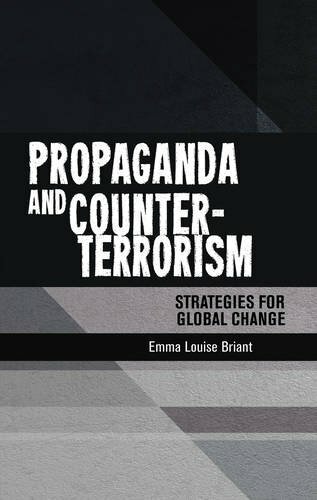 Putin’s government has deliberately shifted the tone of Russian public debate towards militarism, identifying the West, “fascism”, and the “illegitimate” government in Kiev as outside forces that seek to destabilise Russia; Russian media and the internet are deluged with powerful images of war from eastern Ukraine together with numerous stories about Western support for the Kiev regime. This propaganda push is meant to convince Russians that their country is cornered, and that military solutions (particularly in Ukraine) are justified. This enabled Putin to mobilise citizens and ask them to be resilient in the face of economic trauma and western sanctions. Putin is now trapped by his own actions. Backing down in Ukraine would be a humiliating defeat, and would destroy the rationale for Putin’s militaristic belligerence. It would also signal that the Russian people’s resilience in the face of recent economic hardships has been pointless. Recent reports have pointed out that Russia’s military engagement in Ukraine is simply notfinancially viable, and while Russians are in favour of helping the separatists, they do not support Russian direct military intervention in eastern Ukraine – as made clear by groups representing the mothers of Russian soldiers killed in Ukraine. The Kremlin understands this very well, and has never acknowledged that Russia provides separatists anything else that humanitarian aid or advisers. But since the start of 2015, images of Russians soldiers killed or injured in Ukraine have flooded the internet. Then Boris Nemtsov’s report on Russian soldiers secretly fighting in Ukraine, which found that 220 Russian soldiers had been killed, was released by his allies on May 12. This will all certainly make ordinary Russians more conscious of Russia’s military engagement in Ukraine. All in all, Putin’s foreign policy in Ukraine is starting to look like a failure. If it goes over the edge, and if Russia’s economy fails at the same time, his popular support could collapse. So what might he do in response? 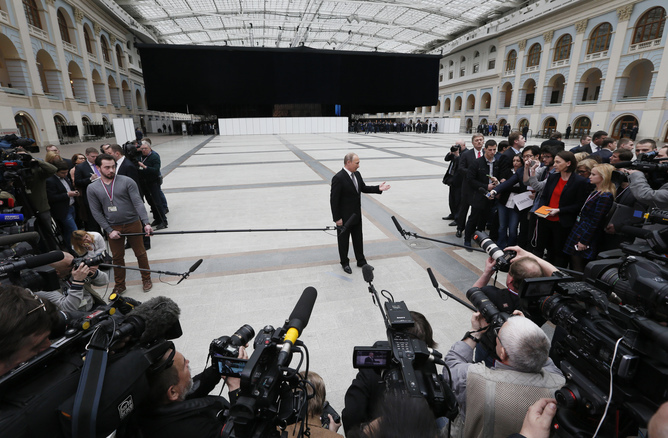 Putin could try to reform his regime by identifying scapegoats in his own ranks. Major political figures around Putin such as a deputy prime minister Dmitry Rogozin, foreign minister Sergei Lavrov, or key generals in the army would be found responsible for Russia’s failure. As a concession to the Russian Maidan, these elites would be replaced. The regime would to continue its current policy in Ukraine and towards the West. The West is not likely to be swayed by these slight transformations in the Putin regime. Moreover, the EU and US would use the opportunity to push for a more liberal agenda. This scenario is the most likely one, as several people around Putin have already been replaced and it is the less costly solution for the regime. Alternatively, Putin could broaden his political coalition by seeking support from more liberally minded Russian elites. He could also adopt a more relaxed stance on human rights, particularly LGBT rights. In this scenario, Putin would attempt to show the West that he is open to dialogue by making small concessions to the liberal opposition, with the ultimate aim of convince the West to lift economic sanctions against Russia. This scenario is extremely unlikely. Russia’s liberal opposition has been almost entirely silenced, and the few opposition elites who are still active share a deep sense of distrustin Putin. They would probably not be willing to collaborate with him ever again, especially if there is a chance of seeing him gone. On the other hand, if Putin’s leadership became untenable, his regime could simply seek to replace its leader. But it would be very hard to find a new central figure with comparable gravitas. The most important member of the political elite whose career has developed independently from Putin is the Chechen leader Ramzan Kadyrov. He has emerged as a strong leader and a fervent supporter of Putin’s militarism – but it’s very unlikely that elites in Moscow would feel comfortable embracing him. Indeed, there are signs he is keen to shore up his territory’s independence, giving orders to his security forces to fire on Russian troops operating there without his approval. If Chechnya really began going its own way against Putin’s wishes, that would encourage other regions to pursue independence or more autonomy from Moscow. But even if an obvious successor were to emerge, Putin is so embedded in the current order that it might not survive without him. Many in the Moscow elite fear that Putin’s fall might spark widespread disorder, and even the dissolution of the Russian state. To be sure, the chances of a Russian Maidan in the short term are very small, not least since both the West and the current regime around Putin have an interest in a stable Russia. The US and EU would surely go to great lengths to prevent the chaotic collapse of the Putin regime and the unravelling of the state, fearing (among other things) that Russia’s massive nuclear arsenal might fall into the hands of an even more unpredictable despot or criminal non-state actors. But even if the deck is stacked against it for now, a popular uprising against Putin’s government is by no means unthinkable. And his chances of surviving it are less assured than ever.